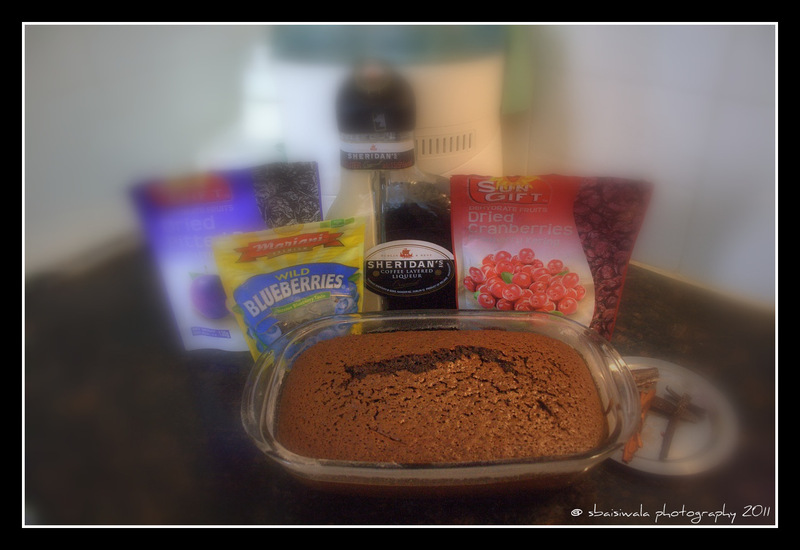 When I decided to experiment with a chocolate cake and add some rum and dried fruits to it, little did I realise the sensation it would create. I am being asked for the recipe left, right and centre. And when one of my friends suggested, I blog it – I thought why not!!!? 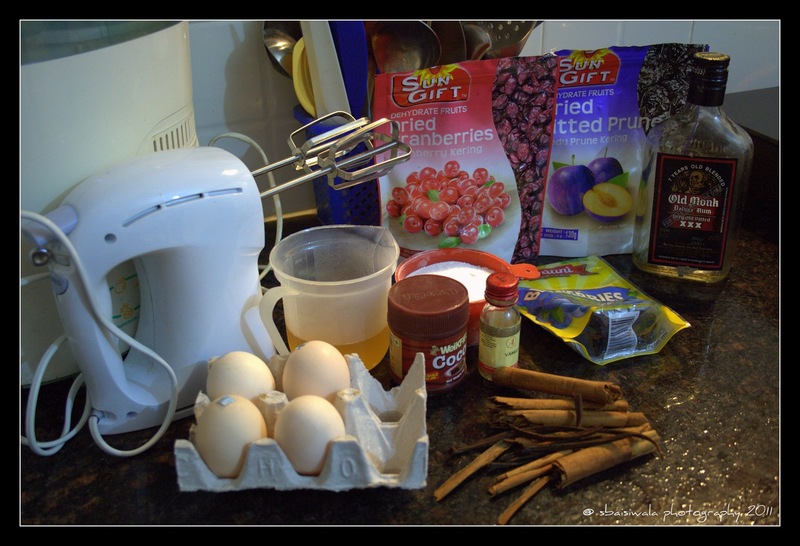 Alright guys – here it is by popular demand – the recipe for my choco-rum cake. Choco Rum cake with dried fruits! Soak all the ingredients overnight in a covered container. You can chose to add or delete the dried fruits in any combination you like. (Optional, you can add a bit of cherry / coffee liquer to this mix as well). I had first made this with only cranberries and apricots – the dried versions you can easily get in the markets like Le Marche, INA, Modern Bazar, Spencer, etc. Next cake I added the blueberries and prunes as well. A word to the wise, just cut the apricots and prunes to smaller pieces as these are quite large and break the cake pcs if put in whole. I also added in a coffee liquer in one of the cakes and that tasted quite delicious as well. Note: The liquer and dried fruits add onto the sugar content in the cake – cut down on the sugar quantity by a few spoons if you like your cake less sweeter. Another thing I experimented with was grating a bit of orange zest into the rum mix – it added quite a spicy tang to the cake. Add the cocoa powder, baking powder and maida onto a sieve and sift thrice to mix the dry ingredients well ( do not mix with a spoon after sifting). The idea of sifting is to trap air into the mix to make it light and airy – so dont spoil the effect by mushing it with a spoon later. In a medium size bowl, beat the 4 eggs to a light fluffy mix. Add the sugar (its easier to beat in powdered sugar) and beat till its incorporated fully with the eggs. Next add the oil and beat some more. I prefer to add in powdered sugar though granulated is also ok to use – just a mind set I guess. For the oil, I add it in in three bits – add a little, beat some. Then add some more and beat some more. Add the rest and beat some more – this way it gets mixed in quite well. 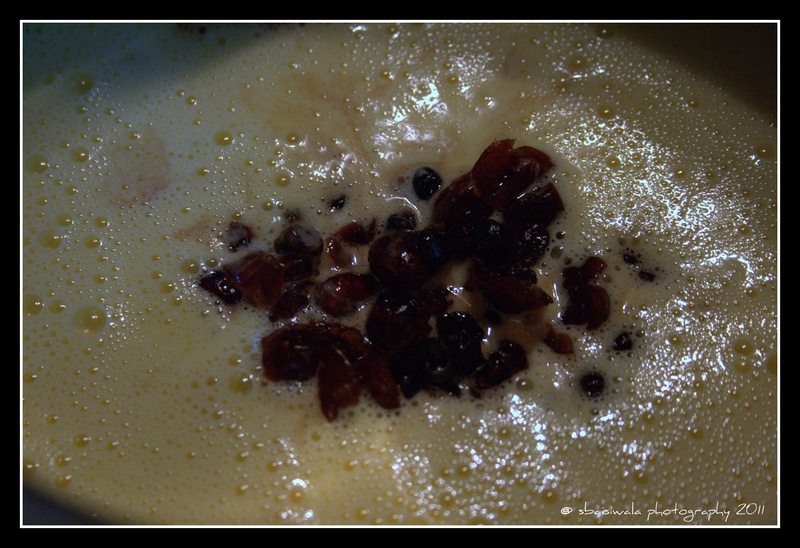 The mix is quite light when its just eggs and rises up to become fluffy. As you add in the sugar, its gets heavy and with the oil it almost settles down – dont be alarmed by it. This is how its supposed to be. 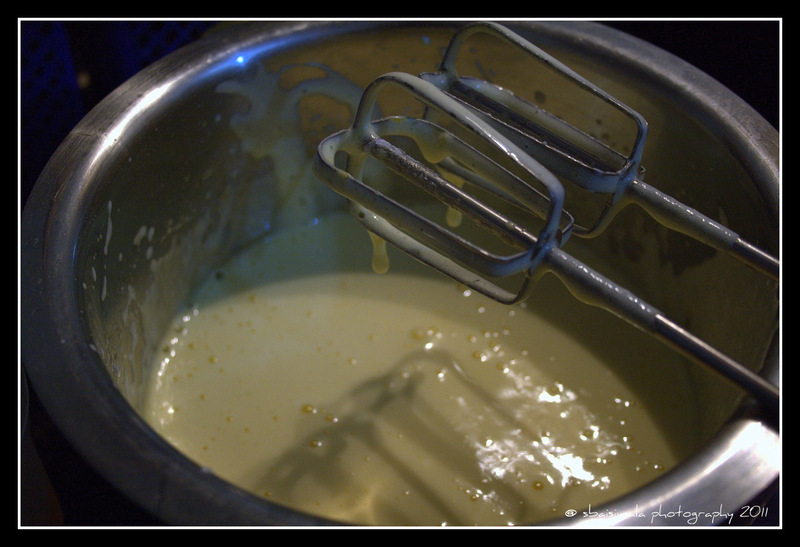 Add vanilla essence, the rum mix and the sifted ingredients into the liquid mix and fold in gently with a rubber spatula. (don’t mix with a heavy hand) Use one direction to fold in the mix gently. Its important to do this very gently as the air bubbles trapped in make it easier for the cake to rise. Pour in a medium sized pre- greased baking tin or glass bowl and bang the dish gently on the counter to remove any air bubbles. Turn the microwave on and set it at 180 degree C pre- heat. Once the oven beeps, put in the cake tin and bake at 180 degrees C for 1 hour. Let it cool for 15 mts before taking it out and cutting it into pcs. Preheat oven at 200 degrees C for 20 mts. Put the cake tin at 200 degrees C for 10 mts, then turn the heat down to 150 degrees C for 45 mts and then at 100 degrees C for 15 mts. Check the cake by inserting in a knife before turning down to 100 degrees C – if not done then bake for another 5-10 mts at that temp before going down to 100 degrees C.
Shalz, this is awesome…. love the detailing you have incorporated. Will try this soon…. Hey thanks Santa – trust you with the best praise always!! The mere mention of anything associated with this mouthwatering confection can cause a dreamy look to come into the eyes of the chocoholic. Chocolate cake mixed with chocolate chunks filled and frosted with dark chocolate, edged with yummy chocolate flakes and topped with dark chocolate swirls and cherries. This is a warm, welcoming Death by Chocolate Cake suitable for any kind of occasions. It consist finest of ingredients like dark chocolate ganache, chocolate glaze and a simple yet elegant decoration of chocolate swirls on the top, which can easily satiate the taste buds of a chocoholic person! Next Post Colors of devotion at the Gangaur festival in Udaipur! !